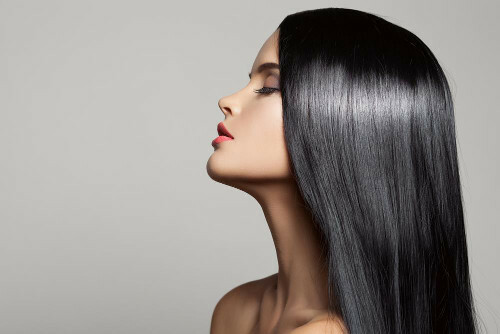 Experience an innovative alternative to the traditional keratin treatment! A Pravana Smoothing treatment from our Stuart FL hair salon will reduce frizz by 100%, reduce your curl by 25 to 35% or more on some and eliminate the unwanted bulk–all with a gentle formula that is formaldehyde free! This service is not a relaxer. It leaves the hair feeling like silk, restores the conditions of the hair and leaves a shine that’s unsurpassed. This service is not only used to smooth out unruly frizzy hair but can be used to strengthen and replenish dry damaged hair. This Keratin treatment stays in the hair for 3 to 7 washes and will help extend your keratin treatment. This can be done in the salon or purchased as a at home treatment. The kit is available for $33.00.